If you are displeased with thin or aging lips and desire kissable, more youthful-looking lips, you may qualify for lip enhancement. Dr. Goldschmidt offers a range of minimally invasive techniques that revitalize the lips and create attractive results that last. Today, having soft and plump lips is a highly desirable cosmetic characteristic, but many people do not have naturally full lips. Aging can also cause the lips to lose volume and accentuate perioral wrinkles. Fortunately, patients can achieve the appearance they desire with lip enhancement. Dr. Matt Goldschmidt performs this procedure by utilizing various techniques to deliver customized results that complement each patient’s unique facial anatomy. 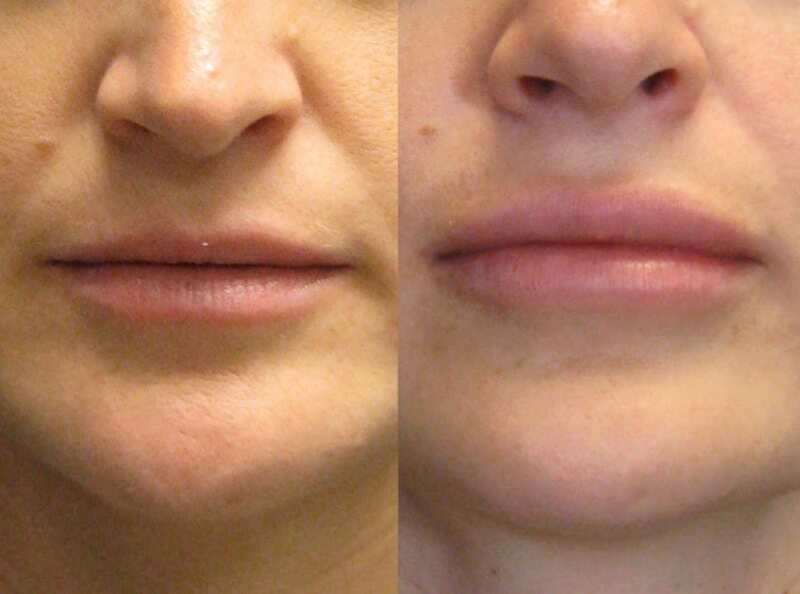 Patients in the Cleveland, Ohio, area can obtain the perfect pout and restore a youthful aesthetic to their lips with versatile and personalized lip enhancement. Patients who are interested in maintenance-free lip augmentation results can undergo an outpatient procedure to receive synthetic Surgisil® lip implants. Dr. Goldschmidt will make incisions inside the mouth and insert silicone implants to enhance your lips permanently. The scars will be concealed inside the mouth. Fat transfer involves removing a small amount of fat from another area of the body, purifying it, and injecting it into the lips. Some of the fat is likely to melt away, but, with proper aftercare, a significant amount should permanently graft to the lips. This procedure produces natural and long-lasting results. Most lip enhancement techniques can be completed in 30 minutes or less and are performed using local anesthesia. General anesthesia may be used during a lip implant procedure to ensure patient comfort and safety. Dr. Goldschmidt will determine the best approach to meet your expectations at your consultation appointment. Any lip enhancement procedure may cause temporary side effects such as mild swelling, bruising, and discomfort. Pain can be regulated with over-the-counter medication. Patients can normally resume their daily activities within a few days. Exercise must be limited for four to six weeks to avoid complications and allow the treated area to heal properly. Patients will see an immediate improvement in both the shape and volume of their lips following their procedure. Some residual swelling may linger for a few weeks, but the final results should be noticeable after the side effects subside. Dermal fillers will require touch-up treatments to maintain results, but implants and fat transfer produce permanent lip enhancement. For more information about Lip Enhancement or to schedule your Lip Enhancement consultation with Dr. Matt Goldschmidt, please call (216) 350-3175.